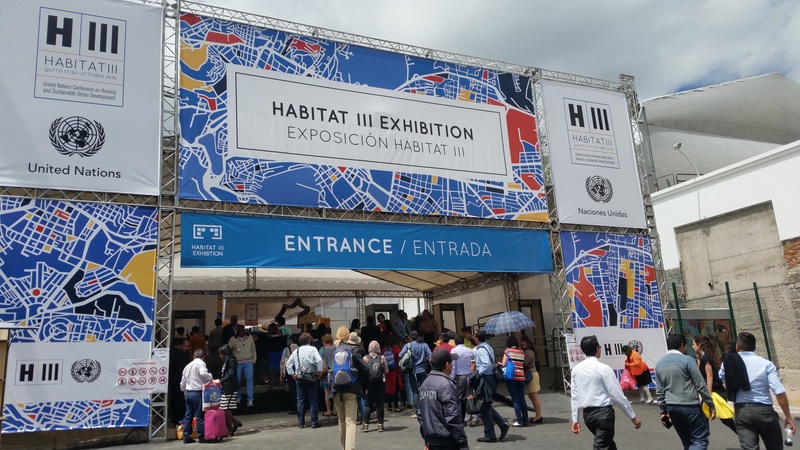 In October 2016, more than 40,000 people have met in Quito, Ecuador for the largest cities summit in United Nations history – Habitat III. 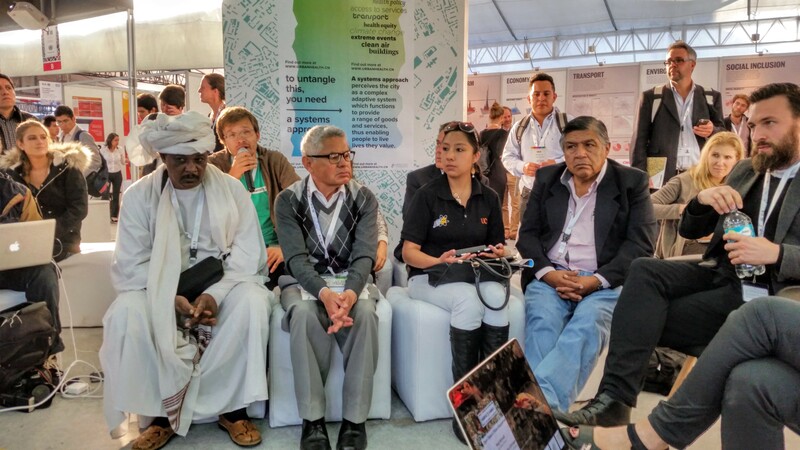 Alongside the main event and development of the new Urban Agenda, participants from science, NGOs, industry and civic organizations exchanged knowledge on sustainable urban futures in the exhibition area of Habitat III. The Habitat X Change space hosted a series of workshops, expert talks and panel discussions. 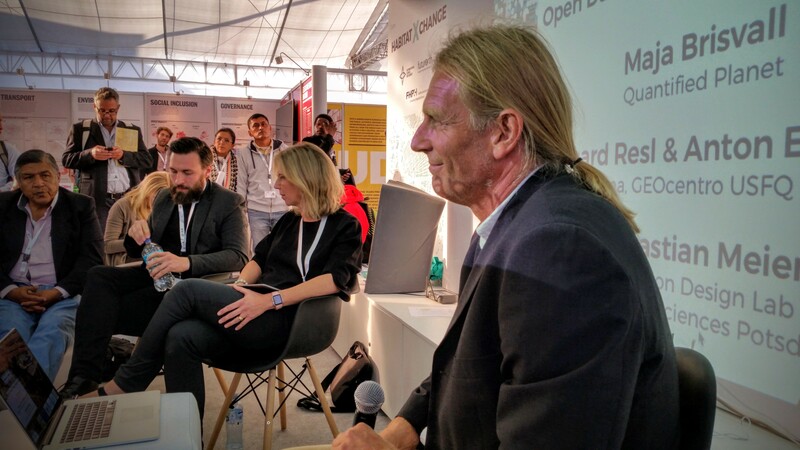 On Tuesday 27th of October, the GeoCitizen team participated on a panel discussion Open Data and Citizen Engagement, leaded by Sebastian Meier from Interaction Design Lab, University of Applied Sciences Potsdam, Germany. During the panel discussion, Maja Brisvall from Quantified Planet, a non-profit organisation and global community that collects realtime sensor data, talked about the importance of open and new opportunities for urban planners, scientists, businesses and citizens. Richard Resl & Anton Eitzinger presented the Geocitizen framework and geospatial application system that has been designed to provide easy-to-use online tools for citizens to make their voice heard through the public space of online maps and a collaborative solution-finding process for neighborhood issues. 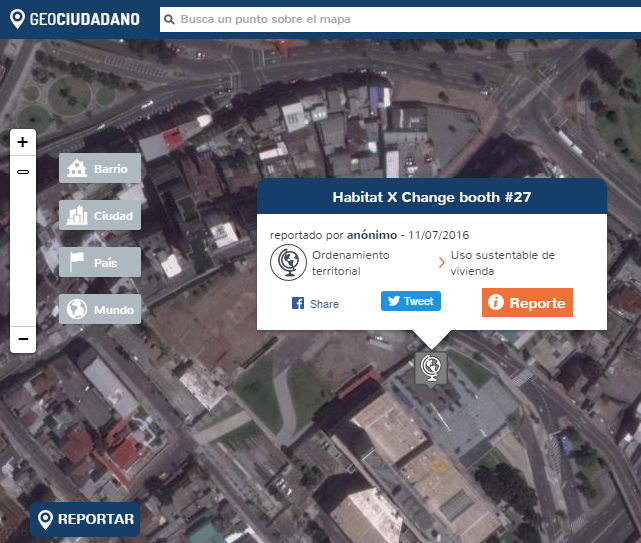 The GeoCitizen team showed examples from application of the GeoCitizen framework for GeoBarrio Quito including Auto-Evaluation by community members following the OECD Quality of life indicators, a usability study in Cali, Colombia and experiences from African farmer communities giving feedback to ongoing implementation of Climate Change Adaptation Actions. A new version of the GeoCitizen platform was announced during the event. The new version will be available online by beginning of 2017.